Where can I watch Long Tail Bootcamp? 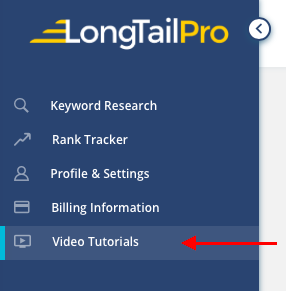 Subscribers get full access to Long Tail Bootcamp for free. Check it out in the app! Just go to the Video Tutorials page and get started. Don't have Long Tail Pro yet? You can still watch the first 7 days! Check out the Long Tail Bootcamp here. Days 8-14 cover content creation, silos, outsourcing, link building and more. Get full access by signing up for a Long Tail Pro Starter plan!